Take Your “Suite” Away to Breathless Punta Cana! It is time to Take Your “Suite” Away to Breathless Punta Cana Resort & Spa! 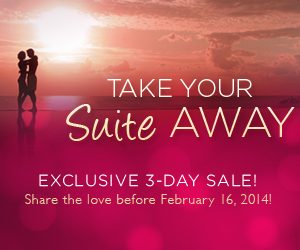 Show your sweetheart just how much you care when you take advantage of our great rates! Your sweetie will have it all and we can’t wait to shower you in Unlimited-Luxury® amenities including luxury accommodations with stunning views, 24-hour room service, unlimited premium beverages and so much more!